The All-American Boys is a no-holds-barred candid memoir by a former Marine jet jockey and physicist who became NASA's second civilian astronaut. Walter Cunningham presents the astronauts in all their strengths and their weaknesses in this dramatically revised and totally updated edition of a book that was considered an instant classic in its first edition over two decades ago. 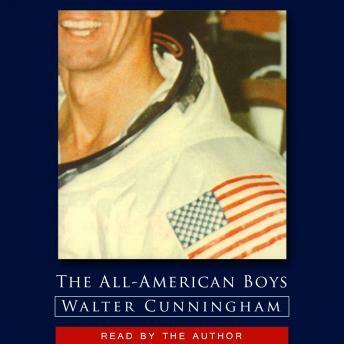 From its insider's view of the pervasive "astropolitics" that guided the functioning of the astronaut corps to its thoughtful discussion of the Columbia tragedy, The All-American Boys resonates with Cunningham's passion for humanity's destiny in space which endures today. This is not just a "tell-all" book. It is also a story of the triumph of American heroes. Cunningham brings us into the NASA training program and reveals what it takes physically and mentally to be an astronaut. He poignantly relates the story of the devastating Apollo 1 fire that took the lives of astronauts Grissom, White, and Chaffee and his own later successful flight on Apollo 7--the longest, most ambitious, and most successful first test flight any new machine--ever. This new edition includes an update of the manned space program and his "tell it like it is" observation of NASA's successes and failures. It also includes commentary on the Shuttle disasters Of Challenger and Columbia and his views on what NASA should be doing to get back on track and to regain public support.